Russell Franks has enjoyed an international career both as a singer and director. He has performed to critical acclaim not only for his portrayals on the operatic stage but also for his interpretations of oratorio and song on the concert stage. He has sung over forty major operatic roles and performed in over a thousand concerts. Mr. Franks holds a bachelor's degree in voice performance and church music from Stetson University and a master's degree in voice performance from the University of Cincinnati College-Conservatory of Music. Mr. Franks currently teaches voice and is director of Opera Theatre at Stetson University in DeLand, Florida. In January 2014, Mr. Franks will direct Marcello Giordani in a new production of Pietro Mascagni's Cavalleria Rusticana with Vero Beach Opera where he directed Le Nozze di Figaro to critical acclaim in 2011. He will also serve as set designer for this production. Venturing into early Baroque opera, he will direct Monteverdi's Il ritorno d'Ulisse in patria in October 2013 and a rollicking Candide in February 2014. Most recently, Mr. Franks directed an international cast in Mozart's Le Nozze di Figaro under the auspices of Varna International, the State Opera of Stara Zagora and the Plovdiv State Opera at the Ancient Theatre in Plovdiv. In 2012 he sang the role of Simone in Puccini's Gianni Schicchi with Florida Opera Theater and sang the role of Amantio di Nicolau in a production he directed in Bulgaria which was paired with Suor Angelica. In February 2013 he directed Dvo?ák's Rusalka in DeLand and then traveled to Vienna in May to appear as baritone soloist in a series of performances of Ein Deutsches Requiem by Brahms. Mr. Franks sang the same in northern Italy to critical acclaim. Chiara Zocca of L'Arena hailed, "Russell Franks's (voice) proved to be intense and well calibrated: a baritone with a voice that runs with facility in each of his registers." The Vicenza Giornale noted, 'Along with the two soloists, soprano Kandie Smith and baritone Russell Franks were vocally gifted and faced a challenging score with great subtlety of expression." Other directing credits with Opera Theatre of Stetson University include Rossini's L'Italiana in Algeri, Mozart's Don Giovanni and Die Zauberflöte, Smetana's The Bartered Bride, Menotti's Christmas classic Amahl and the Night Visitors, the southeastern premiere of Handel's Berenice, regina d'Egitto, Puccini's Suor Angelica and Gianni Schicchi, and Le Nozze di Figaro. Not only does he serve as director of Opera Theatre at Stetson University but he also designs and builds sets and costumes, choreographs, translates for supertitles and serves as technical director. His career includes highlights such as performing the bass solo in Stravinsky's Les Noces with Robert Craft and appearing with Sarah Brightman in concert. He has performed side-by-side with luminaries in the operatic field such as Diana Soviero, Justino Diaz, Carol Neblett, Josephine Barstow, Simon Estes, Bliss Hebert, James Lucas, and Bernard Uzan, to name a few. 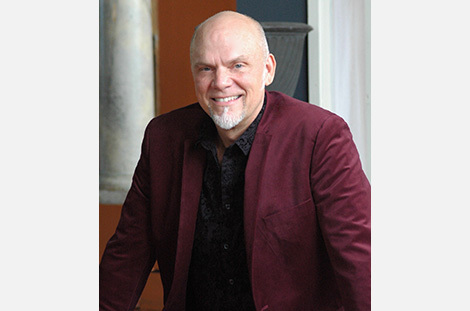 He has sung roles with many opera companies including Pensacola Opera, Florida Grand Opera, Florida Festival Arts, Florida Lyric Opera Company, Opera Theater of Pittsburgh, Treasure Coast Opera, Seaside Music Theater, and many more. Among his other abilities, he is also a skilled director and has directed several musical theater pieces. He has appeared as soloist with many orchestral, concert, and choral organizations such as the Bach Society of Greater Miami, Verbier Music Festival, Handel Choral Society of Orlando, Vero Beach Choral Society, Delray Beach Choral, American Festival Orchestra, Florida International University Music Festival, Miami Chamber Symphony, Soli Virtuosi Sinfonia of Florida, Florida Philharmonic, Artsbridge of Ohio, Gateway to Music of Southwestern Pennsylvania, Pittsburgh Baroque Ensemble, Daytona Beach Symphony Society, Pittsburgh Symphony, Florida Orchestra, Atlantic Symphony Orchestra, Mendelssohn Choir of Pittsburgh, Choral Society of Cincinnati, and the Miami Symphony Orchestra.